The role of music on cruise ships has changed over the past number of years, and thankfully it's all for the better. Playing on a cruise ship as a musician once meant your career was not as hot as it used to be, but now there may be no better gig than performing to large crowds on some of the coolest ships on the high seas. Musical cruises have grown in popularity, and now there are a number of options for those into any genre, from pop-punk to EDM to reggae, which seems to make the most sense of any style. If you're looking for a chill, relaxing vacation that won't border on boring, and you're a huge fan of reggae, of course, JamRock might be just the thing you never knew you needed to check out. The five-day boat trip leaves from Florida and takes patrons to two port cities in Jamaica (Montego Bay and Ocho Rios), which fits in perfectly with the soundtrack being played live on the upper decks of the massive ocean liner. You have time on shore, and plenty of time while traveling from dock to dock, so you get the best of both worlds...though don't be fooled, the emphasis here is on the music, so you're going to be spending a lot of time jamming on this boat (so get comfortable). 2016's JamRock was headlined by both Damian and Stephen Marley, Sean Paul, Bounty Killer, Busy Signal, and over a dozen others, blending the biggest stars of the genre with those that are still working their way up in the scene. The music started early in the afternoon every day and continued well into the wee hours of the morning, and while the ship was limited to one genre, that doesn't mean it all sounded the same. From indoor shows at the theater to ones under the stars on the highest deck on the boat (over 100 feet above sea level, for those nervous about heights) to DJ sets throughout the vessel's many venues, there was certainly a lot going on every night--and yes, there are things to do besides listen to music, because sometimes even the biggest fans need a night off. 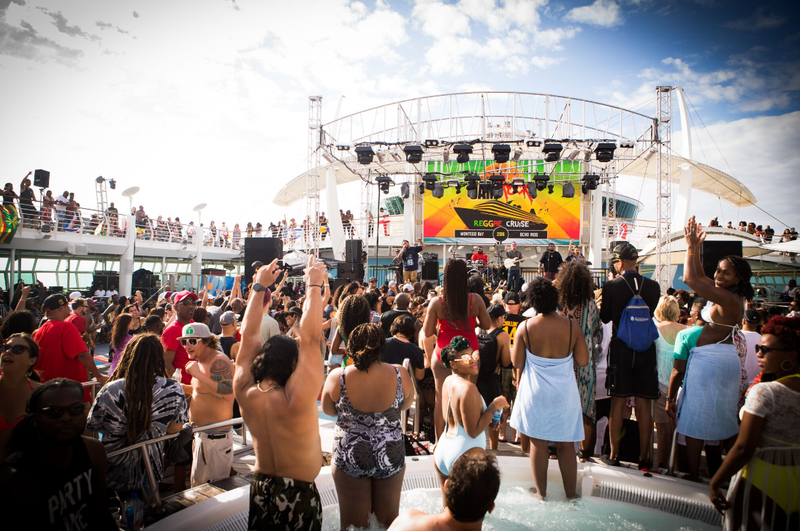 Unlike other musical cruises that cater to younger crowds that want to party all night long, JamRock's audience skews somewhat older, but don't let that scare you. This is by no means your grandparent's cruise, and there are certainly no requests to turn the music down. Those that embark on JamRock are there to have a good time, go slow, and enjoy the music, even if they don't know it. About half of those in attendance at any of the stagings seemed to know every word being sung, while others just danced along. Sometimes that was swaying, and other times it was jumping and bouncing around the room, depending on what the artist on stage was dictating. It may sound a bit corny, but JamRock seems to embody the feeling of reggae in a trip. 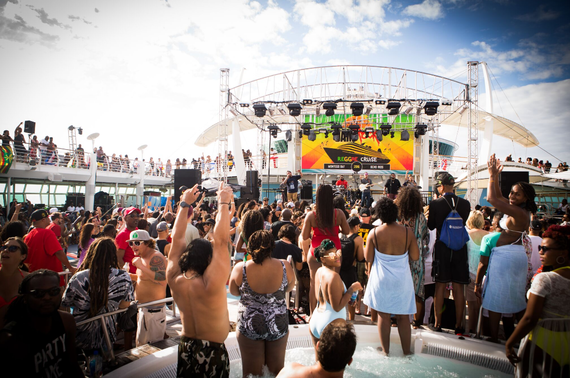 The vibe of the music carries through everything happening on board the ship and on the island of Jamaica. It's all about some great music, a nice cocktail, the waves, and of course, taking things nice and slow. JamRock seems like a perfect getaway for any of the following: reggae lovers, those who live and die by music, and people who have taken a cruise (or several) before, and who are interested in experiencing something a little different. It's unexpected how much everybody just seems to get along with one another right away, and it feels just like, to quote a famous reggae pioneer, "one love," which makes for a fun vacation.